Home of the backpacking tarp with the catenary cut to the ridgeline. And the first ones made of silicone coated nylons and Cuben Fiber TM laminates. We coined the term “cat cut” to describe and differentiate this new feature on our tarps from others on the market. 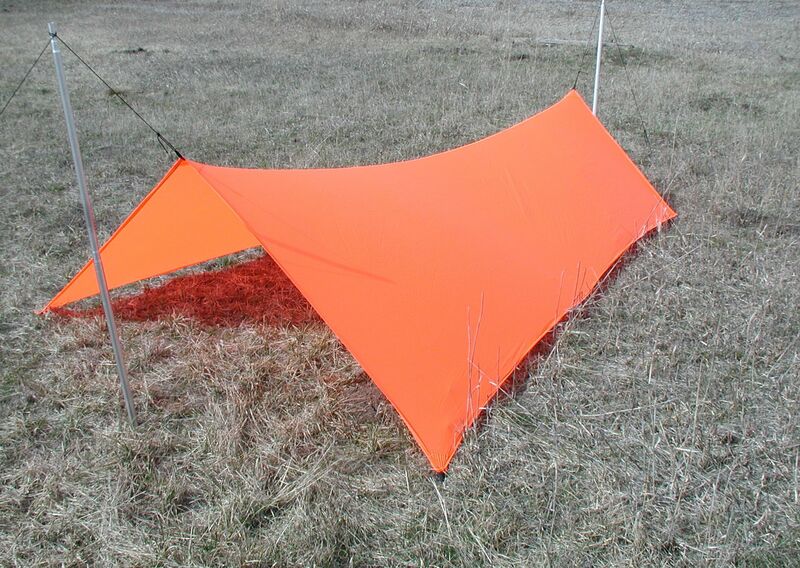 By using this curve, it takes stretch and bag out of the fabrics and enables the tarp to be a “hummer not a flapper” with fewer tie outs and stakes in high wind. Others may have copied the name, descriptions, even drawings from Oware. Not all tarps with “cat” in the name are made the same way or have 26 years of tarp making experience and goodwill behind them.